Is Privatizing the Management of Public Lands a Solution to Sustaining Them? 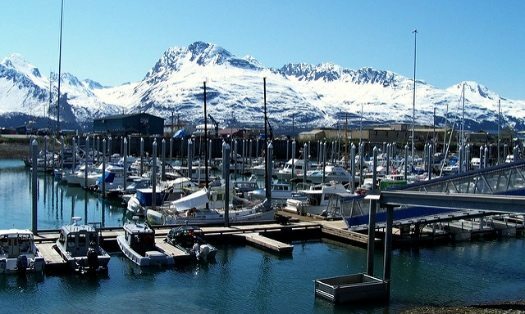 Valdez, Alaska is enduring a state legislature gridlocked over its budget and deficit-reduction plan. Budget cuts placed the area’s state park sites into “passive management” last July. Writing for Alaska Dispatch News, Annie Zak shares a story of how one nonprofit came to the rescue. The International Mountain Bicycling Association creates and preserves trail experiences for mountain bikers worldwide. Its chapter in Valdez, Levitation 49, has four board members, six members of its Board of Advisors, an executive director, part-time summer employees, and passionate volunteer ground crews. Last year, Levitation 49 received a federal grant to help manage the Worthington Glacier State Recreation Site, Blueberry Lake State Recreation Site, Shoup Bay Trail, and the three public-use cabins in Shoup Bay State Marine Park. The nonprofit’s purpose is to develop and promote events and projects that support the mountain sports lifestyle in Valdez. Conservation and stewardship of the natural resources that define Valdez come with the territory. Referencing the Alaska Department of Natural Resources, Zak reports that sites chosen for passive management have “low visitation, frequent facility vandalism, high maintenance costs, close proximity of similar private or state facilities, or poor revenue generating capabilities.” Zak adds that state funding for the parks declined 8.6 percent since 2015. Valdez is just one of dozens of areas in Alaska that receive support from the private sector because of budget cuts. These groups help to build bike paths, clear brush, work on bridges, and much else to keep trails open. Levitation 49’s Executive Director, Lee Hart, knows that her organization’s commitment to managing the public sites they have taken on is temporary. Already, Levitation 49’s federal funding is insecure because it is managed by the state. The Alaska Department of Natural Resources recently informed Hart and others that reimbursements after June 30th are no longer certain. This is a subject of frequent analysis at NPQ. From “Nonprofits and Thousands of Volunteers to the Rescue of State Parks” to, more recently, “Corporate Branding of National Parks: The Disturbing Link between Philanthropy and Privatization,” the apparent need continues to grow for public-private partnerships to fill the void left by shrinking state and federal government budget appropriations. The creation of national and state parks is an expression of faith in the future. It is a pact between generations. These parks echo the promise of the Constitution “to secure the Blessings of Liberty for ourselves and our Posterity.” Levitation 49 and others are that future, and they are acting on behalf of our successors. A small nonprofit challenges the federal government over the trading of public land.